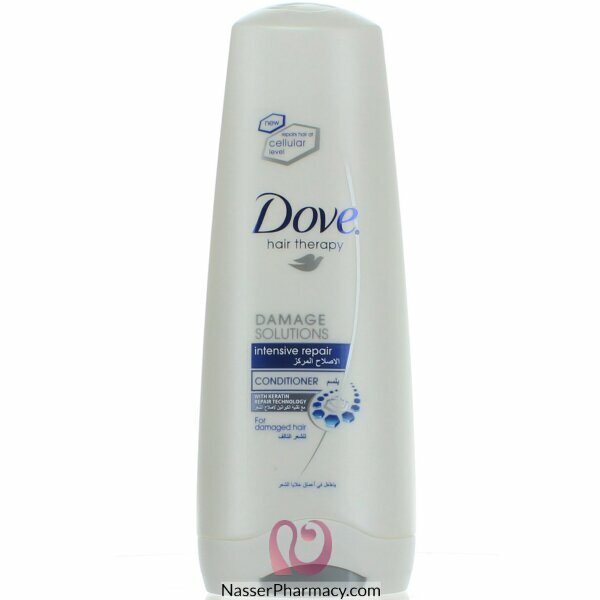 Dove® Damage Therapy Intensive Repair Conditioner with patented MICROMOISTURE Serum and Fiber Actives internally reconstructs hair and prevents split ends and breakage. Advanced damage care and repair system: • Fiber Actives deeply penetrate porous hair to help reconstruct it from within. • Formula with patented MICROMOISTURE Serum strengthens and nourishes hair from root to tip. Leaves hair strengthened and resilient to future damage without weighing it down.